Cathy McMorris Rodgers says the Mueller investigation should continue, but has been dismissive of the results so far. 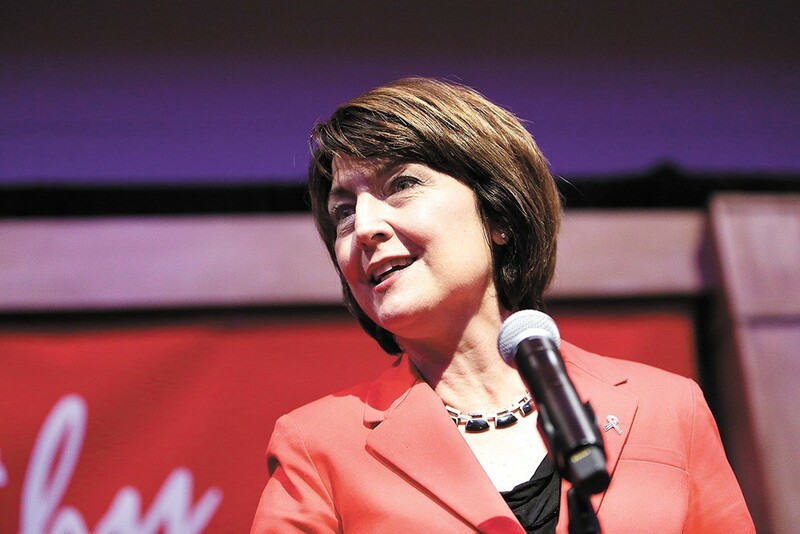 f there's any way Cathy McMorris Rodgers has changed in the last five years, she tells the Inlander in a recent set of interviews, it has to do with her views on the balance of power between the legislature and the other branches. "The Legislative branch has been weakened," McMorris Rodgers says. "You don't see all of that when you're first elected in the House. You're just trying to figure out where the bathrooms are." She says that, increasingly, she's come to believe that "Congress needs to assert itself on behalf of the people," and check the power of the executive and judicial branches. For example, she believes the Authorization of the Use of Military Force, that has been used to justify a wide range of military force by presidents since 9/11, needs to be revised. So naturally, the Inlander asked McMorris Rodgers how she has tried to provide oversight and accountability of President Donald Trump. "The House has been more focused on providing that oversight as it relates to the FBI," McMorris Rodgers acknowledges. Indeed, House Republicans did issue a 250-page intelligence report that largely absolved Trump of any involvement in Russian meddling of the election. All the contacts between Trump's team and Russian officials may have been ill-advised, but didn't rise to the level of "collusion." But Democrats mocked that investigation as particularly flimsy and cursory: Republicans didn't even bother to interview former Trump National Security Advisor Michael Flynn, who's pleaded guilty to lying to the FBI, about his conversations with Russians. Instead, most attention has turned to special counsel Robert Mueller's investigation into Russian interference of the 2016 election. We know that Trump has already tried to fire Mueller, only to be talked down from it. Not once, but twice. So how would McMorris Rodgers respond if Trump actually fires Mueller? "He's said that he's not going to do that," McMorris Rodgers dodges. But what if he does anyway? "I'm not going to speculate," McMorris Rodgers says, chuckling, "He's said he's not going to do that." Yet, Trump did fire FBI Director James Comey last year, saying on national TV that it was because the Russia scandal was a "made-up story" and "an excuse by the Democrats for having lost an election that they should’ve won." McMorris Rodgers shrugs that off too. "In that case, the president decides who serves within his administration," McMorris Rodgers says. "You serve at the pleasure of the president. You have to be able to make those decisions." So far, Mueller's wide-ranging investigation has resulted in indictments against 19 people and three companies. Besides Flynn, three Trump campaign advisors have pleaded guilty of lying to the FBI. Trump's former campaign manager, Paul Manafort, has been indicted on a whole slew of financial crimes. But McMorris Rodgers is not impressed. At times, there has been a lot of wild speculation, from, say, certain manic Twitter users. But there's also been a lot of evidence of malfeasance — or at least, attempted malfeasance — even considering how tight-lipped the Mueller investigation has been. For example, we know that that Trump's son met with a Russian lawyer who was promising dirt on Hillary Clinton, telling a liaison over email, "If it's what you say I love it especially later in the summer." We know that that Russian lawyer was feeding information to the Russian government (and also met with Clinton-allied Fusion GPS). We know that Trump repeatedly pressured Attorney General Jeff Sessions to retake control of the Mueller investigation. We know that Trump's business partners continued to try to set up a Trump property deal in Moscow during the campaign. We have the conclusion of the Republican-led Senate Intelligence Committee, which says that Russia intervened in the election to try to help Trump win. Heck, we know that that Trump urged Russia to hack Hillary Clinton's emails, because he said that publicly. 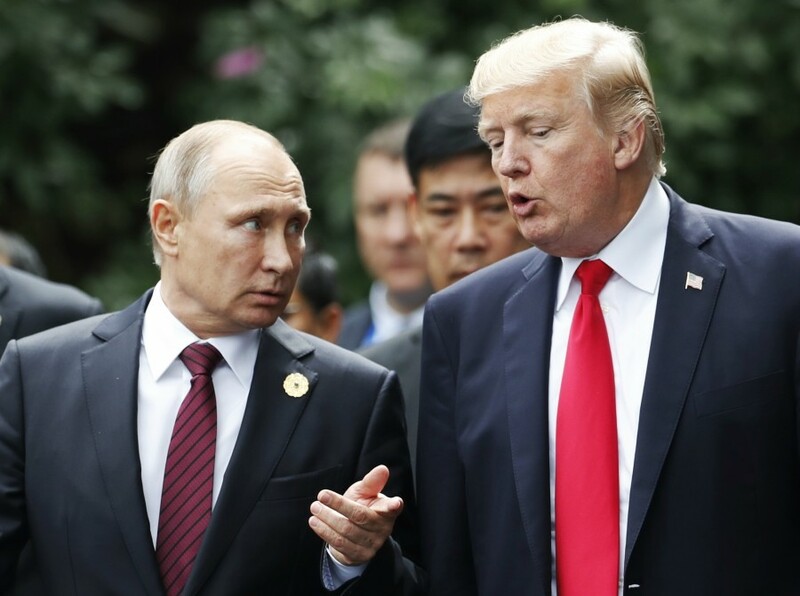 President Donald Trump and President Vladimir Putin of Russia, at the APEC summit took in November 2017. In other words, there's a whole lot of smoke. But as for fire, according to the New York Times, "no public evidence has surfaced connecting Mr. Trump’s advisers to the hacking or linking Mr. Trump himself to the Russian government’s disruptive efforts." Yet, on potential scandals not involving Trump, McMorris Rodgers has been noticeably more eager to try to get to the truth. Last year, McMorris Rodgers accused the media of "trying to brainwash America against some really good people" through its Russia coverage. Or contrast her feelings on the Russia investigation with her comments on Hillary Clinton's private email server, where she noted the "House has conducted several oversight hearings to investigate and provide transparency on Hillary Clinton’s use of a private email server as secretary of state" and that Clinton put "Americans’ security at risk with her recklessness." Or look at what she includes and what she doesn't in a recent article in the National Review last week lamenting the loss of public trust in the federal government. McMorris Rodgers mentioned a number of scandals, including the VA scandal and the IRS targeting conservative organizations with higher scrutiny for tax-exempt status. In fact, she does mention the Russia scandal too — but only to cite the controversy around Peter Strzok, an FBI agent who had been investigating Trump. If you consume mostly right-wing media outlets, like Fox News and the Federalist, that's likely your view too: To Fox viewers, the scandal is the investigation itself, not the actions of Trump or his campaign team. "Congress must do its part to rebuild trust in our democracy," McMorris Rodgers writes in National Review. "That’s why I’m more committed than ever to demand the effectiveness and accountability that the American people expect and rightfully deserve from their government." Whether she'll ever demand accountability for Trump as fervently as she did for Obama and Clinton remains to be seen.